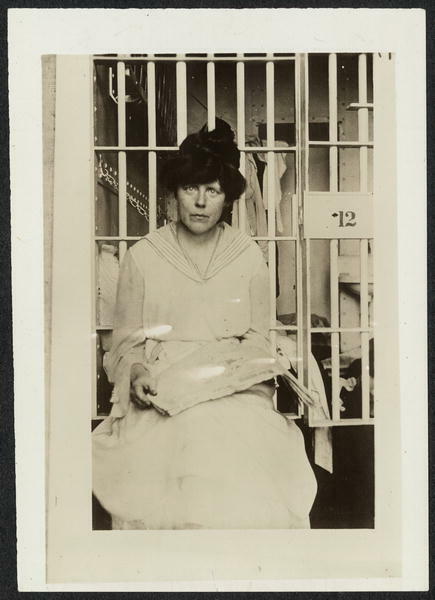 In case you are wondering if any of the following is “urban legend,” here’s a quick reference in About.com’s women’s history section, entitled Brutal Treatment of Women Suffragists at Occoquan Workhouse, indicating all was indeed true. The original e-mail was apparently written by Connie Schultz of The Plain Dealer, Cleveland. 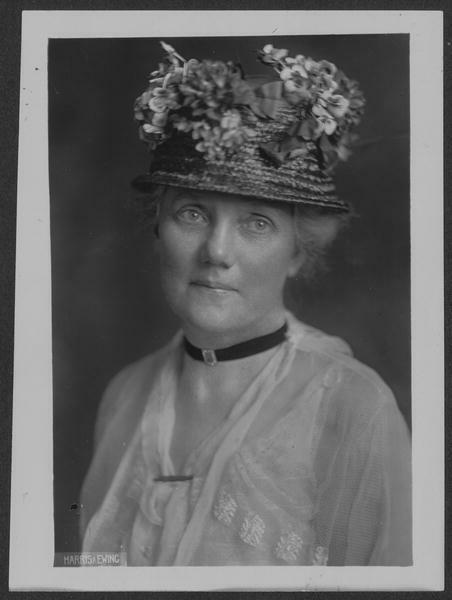 I can’t help but add a link to AAUW’s Online Museum, given our own considerable history and efforts to get out the vote. 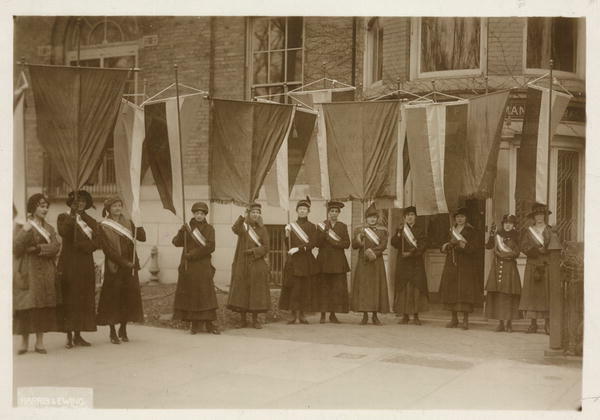 The first suffrage picket line leaving the National Woman’s Party headquarters to march to the White House gates on January 10, 1917. They beat Lucy Burns, chained her hands to the cell bars above her head, and left her hanging for the night, bleeding and gasping for air. They hurled Dora Lewis into a dark cell, smashed her head against an iron bed, and knocked her out cold. Her cellmate, Alice Cosu, thought Lewis was dead and suffered a heart attack. Additional affidavits describe the guards grabbing, dragging, beating, choking, slamming, pinching, twisting, and kicking the women. For weeks, the women’s only water came from an open pail. Their food — all of it colorless slop — was infested with worms. 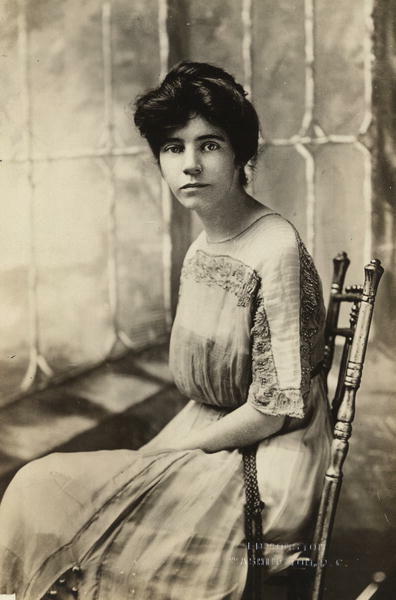 When one of the leaders, Alice Paul, embarked on a hunger strike, they tied her to a chair, forced a tube down her throat, and poured liquid into her until she vomited. She was tortured like this for weeks until word was smuggled out to the press. So, refresh my memory. Some women won’t vote this year because — why, exactly? We have carpool duties? We have to get to work? Our vote doesn’t matter? It’s raining? Last week, I went to a sparsely attended screening of HBO’s new movie Iron Jawed Angels. It is a graphic depiction of the battle these women waged so that I could pull the curtain at the polling booth and have my say. I am ashamed to say I needed the reminder. HBO released the movie on video and DVD. I wish all history, social studies, and government teachers would include the movie in their curriculum. I want it shown on Bunco night, too, and anywhere else women gather. I realize this isn’t our usual idea of socializing, but we are not voting in the numbers that we should be, and I think a little shock therapy is in order. We need to get out and vote and use this right that was fought so hard for by these very courageous women. I saw this HBO movie with Hillary Swank. Excellent movie…..I recommend it for everyone. We will never be able to honor these women enough. Thank you for letting me know how our vote was won.